Quick Take: Breaking Bad, "Shotgun"
(S0405) Before I get into tonight’s episode, the other big Breaking Bad news, well, broke about an hour before the episode aired. AMC renewed the show for 16 more episodes following the conclusion of Season Four. And then it’s done. There is no definitive answer as to how or when these 16 episodes will air (I’m reading much speculation that they’ll be split up into two mini-seasons), but it’s very good to hear that AMC and Vince Gillian/Sony were able to work out their economic differences. After the near disaster that occurred between the network and Matthew Weiner over the Mad Men negotiations, rumors were swirling that Breaking Bad might have to cut its budget too much for Gilligan’s liking and he’d want to shop it to another network. Now we have an endgame on the horizon, though. While I’m obviously sad that Breaking Bad has to eventually end, I’d rather the writers have a prepared solution in mind rather than stringing it along. We don’t know if Jesse will still be alive when that final episodes rolls around, but we do know he’ll be around a little while longer at least. It sure seemed like things could have went in a different direction for him, though, early in "Shotgun." Walt sure thought so by the looks of his wild, gun-toting, family-good-bye-calling drive to Los Pollos Hermanos to confront Gus. Gus doesn’t meet him, of course, but Mike calls to let him know that Jesse is at least (for the moment) kickin’. Mike drives him out to the middle of the desert and pulls a shovel out of the trunk. Rarely a good sign when you’re the black sheep of the local illegal drug operation. And the way Jesse attempted the fasten his keys into a rudimentary brass knuckles, he seemed to realize that in spite of his current tortured emotional state, he’s not ready to die. But Mike didn’t dig Jesse’s grave. He instead dug up some cash. This was stop one of seven on Mike's bag man expedition and Jesse is apparently just along for the ride. And what a ride. There’s very few shows that can pull of the stylistic touches that Breaking Bad uses and make it seem not only impressive, but also sincere. The fast-motion, quick-cut montage was a thing of beauty that was made all the funnier by Aaron Paul’s performance. At the final stop, as Mike goes into a warehouse to collect the last bag of cash, a car pulls up behind Mike’s car and a man gets out and begins walking toward the trunk with a shotgun in hand. Jesse spies the approaching man and turns the keys in the ignition and reverses madly down the alley, nearly killing the gunman and ramming into the car of the gunman’s driver. Jesse then speeds off and is followed by the car, but apparently is able to eventually lose the would-be thieves/assassins. And I was really sure they were at least going to be one of those two options and, of course, Breaking Bad laughs in the face of my expectations. When I saw Mike had left the keys in the ignition (something he didn’t do on at least the first stop), I had assumed that the man with the shotgun had been paid to off Jesse and his reward was all of the cash picked up throughout the day that was lying hidden in the trunk. He was gonna pop Jesse and then just drive away in his new money-filled car. But then when Jesse picks up Mike sometime after the confrontation, Mike lets Jesse smoke his cigarettes after telling him not to earlier. Was he rewarding Jesse for actually thwarting a robbery like Jesse had immediately assumed was the case? It turns out it was neither scenario. Gus had, in fact, orchestrated the whole thing as a rouse to make Jesse look like a hero. To make a guess as to why this is the case, maybe Gus thinks that raising Jesse’s self-esteem and giving him purpose will cause him to straighten out his act. But isn’t that a little too complicated? Is he cooking something more diabolical? We won’t know from his conversation with Mike because Mike knows better than to ask questions like that. Regardless, for the time being, Jesse seems to feel some much needed self-worth and he lived to cook another day. The Jesse-Mike roadtrip (think of them like Crosby and Hope for our generation; Road to Methtoberfest, if you will) wasn’t the only development this week. Walt and Skyler sign the papers to finalize the purchase the carwash. The high from that transaction and the voicemail Walt left where he says he was just thinking about the family (which we know was meant to be a possible final goodbye in the event he got killed trying to save Jesse from potential doom) gets Skyler all hot and bothered and they sneak into the bedroom for some cooking of a different kind. Skyler expects Walt to move back into the house. Walt seems unsure, but then Skyler goes and tells Walter Jr. that his dad will be moving back for sure on Tuesday, much to Walt’s apparent chagrin. And then there’s Hank, who tells Tim he will no longer be assisting on the Gale Boetticher murder investigation because with the supposed Heisenberg out of the picture, his white whale is dead. But then Walter had to go and get wine drunk, which we all know is the dumbest kind of drunk. At Hank and Marie’s for dinner, Walt confesses to Hank that he doubts Gale is genius enough to be a methamphetamind mastermind and that he’s probably just a student to the real drug king. Skyler looks on stunned and with good cause because Walt’s assessment seems to have motivated Hank to not only look into the case further, but also (thankfully) to be nice to Marie for once. And with the crime scene photos laid out on the kitchen table, Hank already comes across something that doesn’t fit with Gale’s nutritious/vegan lifestyle: a Los Pollos Hermanos flyer. As I said earlier, we have no way to predict how Breaking Bad will wrap up its final 16 episodes, but don’t be shocked if it involves Hank putting the cuffs on... someone. Hank wearing a DEA Fun Run t-shirt just seems like insult to injury. I mentioned the money pick-up montage earlier, but the first-person driving shots in the cold open were impressive as well. Hank would be surprised if Jesse was the shooter. This is the third episode title to reference guns or bullets after "Thirty-Eight Snub" and "Bullet Points." What was so beautiful about Walt's "wine drunk" (great term) proclmations is that they reveal Walt at his core -- he's a guy who needs his "genius" to be recognized. It's the perfect means for his relative safety from the direction of the law to be blown... it's absolutely in line with Walt's personality that he can't stand for the deceased Gale (the most innocent illegal drug employee in history?) to get credit where it's not due. Onto BB's renewal: I wouldn't even let myself think for a second that the series wouldn't end in the way the producers wanted it to. The eight and eight scenario makes sense and reminds of the way that The Sopranos' final season was split. 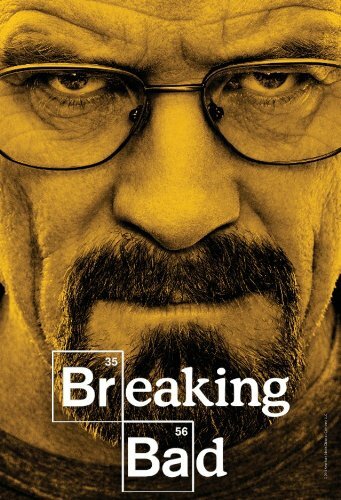 Breaking Bad has always been a show that felt as though it should have a relatively tight series arc. The fact that it will end in the way that Gilligan and crew intends will make it an intense and fun ride!